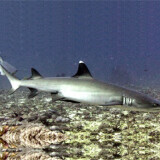 Gili Island is famous for its amazing and beautiful underwater natural. 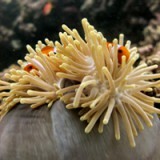 Colorful coral, a variety of fish, turtles, and even sharks can easily be found there. 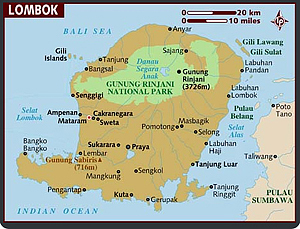 Gili Air has a bird garden with a collection of rare birds of Indonesia to foreign countries. 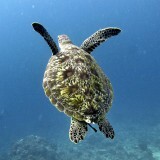 While in Gili Trawangan there is a turtle breeding. You can freely move in Gili without the noise of motor vehicles. This is, what makes Gili as the best relaxation place for those who want away from urban life. Typical culinary in there islands there is seafood. 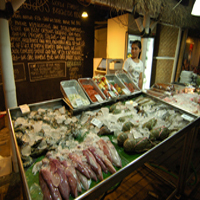 You can easily find restaurants or stalls serving food made from sea animal. 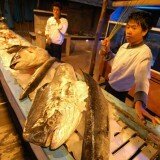 Price ranges varies consider its menu of food and the place where you eat. Especially for Gili Trawangan, you find a lot of places that use foreign rate. 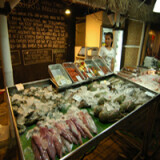 Beside seafood, Indonesian food can also be found here. There are many stalls that provide a menu of authentic Indonesian food like fried rice and Lombok special culinary, named Ayam Taliwang and Plecing Kangkung. Both of these foods are famous with its spicy taste. The uniqueness of Ayam Taliwang lie on the type of chicken used. They use 3 to 5 months chicken, so the meat is tender and savory flavors make this meal more delicious. But you have to prepare a lot of water if you decide to eat this menu. It feels very spicy and make red to the face. So, pay attention to your stomach if you want to eat this culinary. It feels incomplete if you are eating Ayam Taliwang without Plecing Kangkung. Both of these foods is being a bond that can not be separated. Plecing Kangkung is also known for its spiciness, the character of Lombok people who like spicy food. They used specific Kae that is found in this area. The Kale lives in the flowing river and planted with a certain method. The result of this kale is crispy and large. You will get loss experience if not trying this culinary. 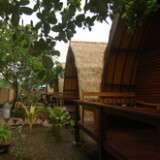 For lodging, you can stay at Omah Gili. It provides Indonesian food too.